The description of feasts in Game of Thrones. Danaerys sampling a honey soaked date from the South. Giant platters piled with grilled meat at Winterfell. The lemon cakes that Sansa likes so much. In the book series I’m currently reading, they are always having coffee and pastries; a key part of Swedish life. I want to slap Edward’s greedy little hand as he inhales the Turkish delight that was his downfall in The Lion, the Witch, and the Wardrobe. I want to spin the wheel in Vianne’s chocolate shop from Chocolat so she can tell me what type of chocolate is right for me. I want to cheers Harry Potter with a butterbeer and eat johnnycakes by the light of a fire on the open prairies with Laura Ingalls Wilder. I want to have a bowl of porridge with Mary at Misselthwaite Manor. And of course, the lavish parties and afternoon tea of Downton Abbey. This recipe was inspired by Downton Abbey. 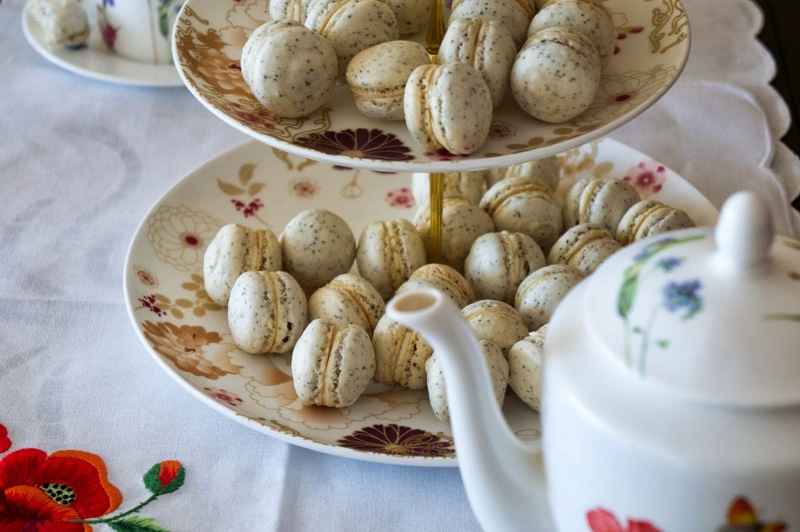 Yes, I realize that macarons are French, but tea is decidedly British and something about these little dainty cookies screams Downton garden party to me. The pictures are meant to evoke the two different classes of people that are portrayed by Downton Abbey. The first shows the cookies being prepared in the hustle and bustle of the kitchen. Mrs. Patmore yelling at Daisy to stop daydreaming and pipe the buttercream. The waiters being inspected by Carson as they prepare to bring the finished tray to the guests. 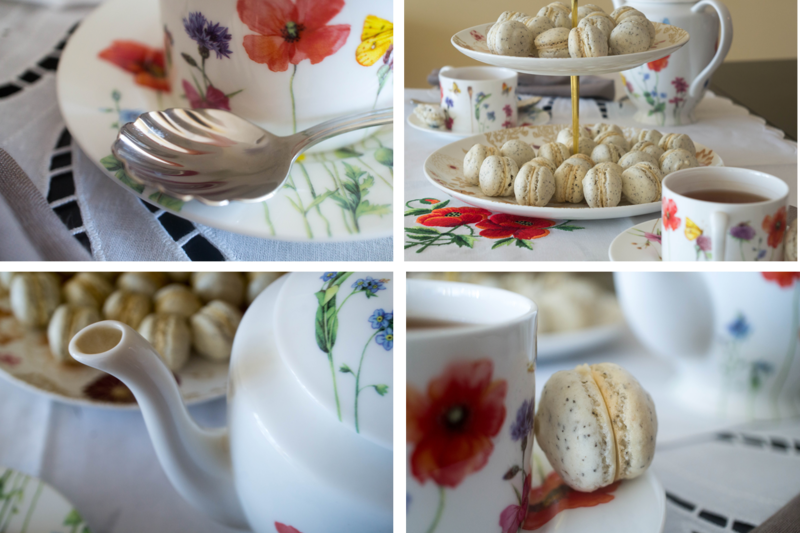 The second set of pictures shows the cookies presented to the upper class while they drink their tea. The Dowager Countess commenting on how ladies shouldn’t eat such sugary confections, prompting Edith to put down the one that she had been biting into. If I close my eyes I’m there with them all: eating, talking, sipping my tea in the English countryside. Heat oven to 290F*. Line cookie sheets with silicone baking mats or parchment paper. Parchment may result in more uneven macaron bottoms as the paper wrinkles, but they should still be fine. In a food processor, combine icing sugar, ground almonds, and tea and process for about 30 seconds, until combined and fine. Sift into a bowl and set aside. In the bowl of an electric mixer fitted with a whisk attachment, whip egg white with vanilla until frothy. 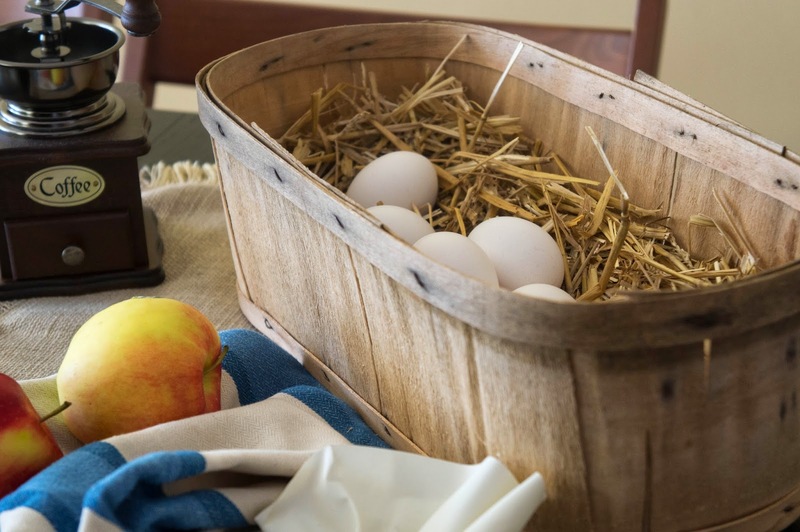 With mixer on medium-high, add granulated sugar a little at a time to egg white. 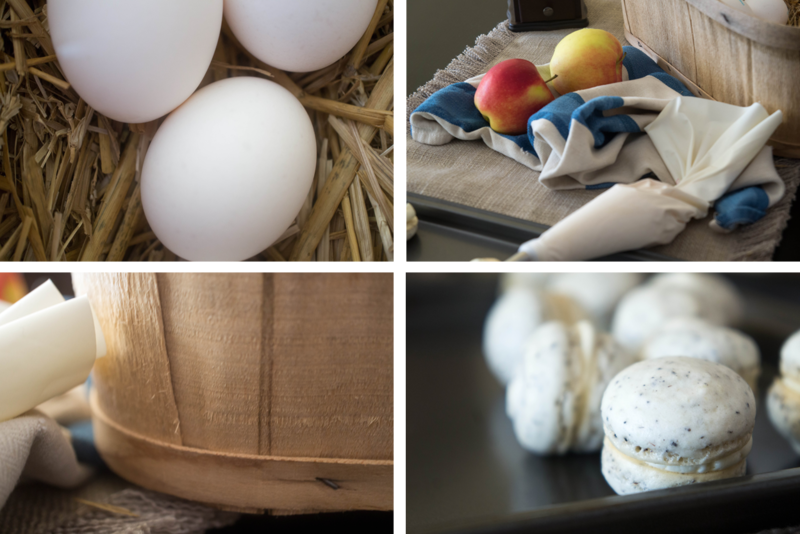 Keep beating on medium speed until egg whites are glossy and firm, but not dry (when dipped in, the whisk attachment should come up with a large “cone” of meringue that does not drip back in when turned right side up. A dry meringue will result in the whisk attachment coming up empty, and whisk imprints being left in the bowl). In two additions, gently fold in sugar/almond mixture into egg whites using a rubber spatula. This should not take more than 50 strokes. To test your macaron mixture, create a peak by dipping a spoon in and lifting it out. The peak should disappear into the rest of the batter within ~40 seconds. If it is slower than this or does not disappear at all, give it a couple more strokes with the rubber spatula. Do not over mix! If it is faster than this... try baking them anyway! Imperfect macarons still taste delicious. Spoon mixture into a piping bag fitted with a plain large circle tip. I use a Wilton #12. Pipe macarons onto prepared sheets by holding the piping bag vertically about 1 cm from the sheet and applying even pressure. The circle will spread outward as you pipe. When it is your desired diameter (~ 1inch), release pressure and lift tip away to the side, leaving as small a “peak” as possible. You can draw circles on the parchment as a guide to making even macarons, but I find this time consuming. I prefer to count in my head 2-3 seconds (depending on how fast you pipe). This should create even enough macarons. And really, if they’re not perfectly the same size, no one will notice before popping one into their mouths. Once finished with a sheet, tap it firmly against the table to pop any bubbles that may have formed in the macarons. Allow the macarons to dry for 30 minutes. This will allow the famous macaron “foot” to form. After 30 minutes, bake in the center of the preheated oven for 15-16 minutes. 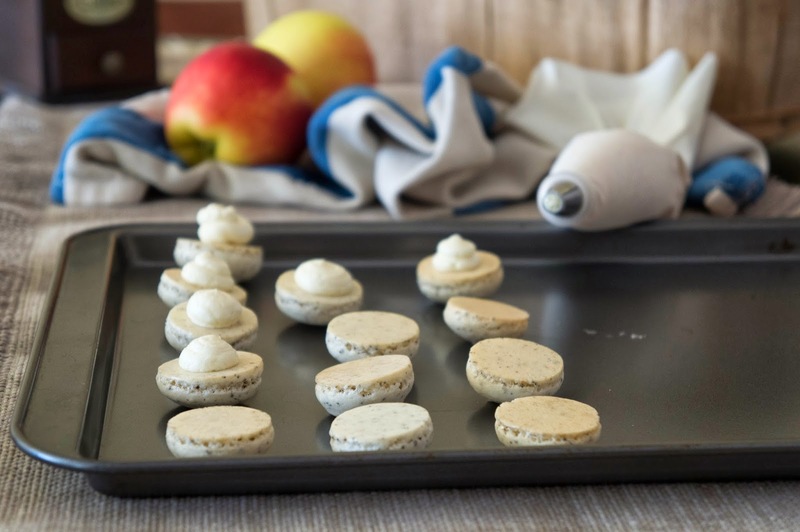 To test whether they are done, carefully lift the corner of the baking mat or parchment towards the corner-most macaron. If it peels off easily, they are done. Remove from oven and let cool completely before removing from the sheet. Unfilled macarons can be stored in an airtight container for 3 days. 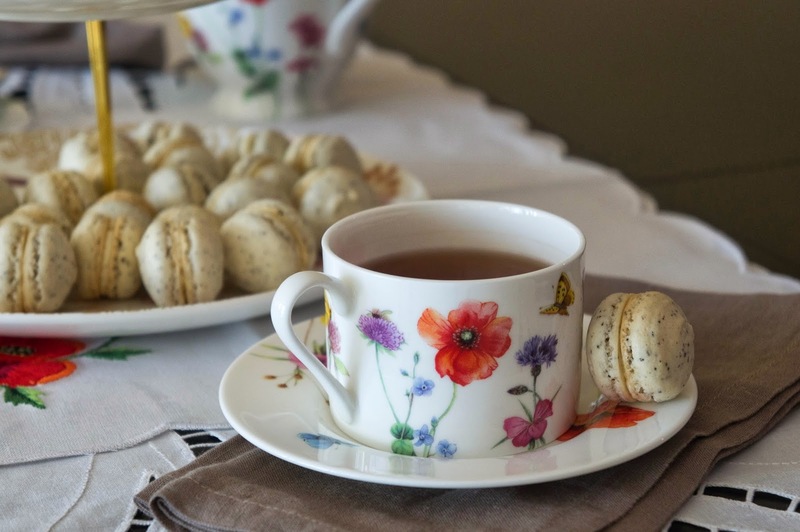 To fill macarons, pipe or spoon a small amount of frosting onto the bottom of one shell. Sandwich with another. 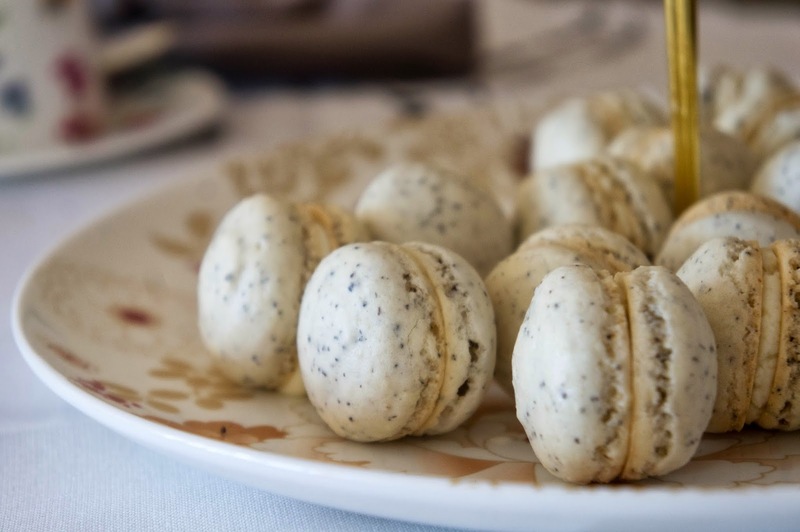 Macarons, once filled, are better after 24-48 hours in an airtight container. * Macaron shells are finicky. This recipe works at 290F in my oven, but I don’t have an oven thermometer. You may find that this temperature is too high or too low in your oven. Remove the butter from the fridge, cut into cubes, and leave at room temperature while you prepare the meringue. Place egg whites and sugars in a large bowl or in the bowl of your stand mixer. Whisk over a steaming water bath until the sugar is completely dissolved. The mixture should be hot to the touch and should have no sugar granules in it when rubbed between your fingers. Switch to paddle attachment if using a stand mixer. Add butter one chunk at a time mixing at medium speed until the frosting becomes smooth and satiny. If the mixture separates it may mean your bowl was still too warm when you started adding the butter or your butter was too soft, or it just felt like separating (seriously seems that way sometimes). Just keep mixing until it comes together again. If it seems really soupy, refrigerate for 10 minutes and whip again until it comes together. Add vanilla, salt, and honey, and mix to combine. Use to fill macarons! These look incredible! I love the flavors, but I'd definitely need to use Earl Grey. Thanks! Earl Grey would work really well too!